The upcoming Sony PSP Phone has been put through its paces in a video and it looks like it is lagging somewhat behind the Google Nexus S when it comes to gaming power. According to Unwired View, the Nexus S was measuring a meaty 55.6fps when it was benchmarked using Qualcomm's Neocore app, but the Sony PSP Phone (also called the Zeus and Z1) only hits around 24.4 fps on average. As the Sony PSP phone should, given its (admittedly media-dubbed) name, be a gaming powerhouse the results in the video are a little disappointing. Hopefully Sony Ericsson isn't just using the Playstation brand, rather than its specs, for the handset. While this was a prototyped phone that was benchmarked, it has to be noted that the processor could change when the Sony PSP Phone makes its way to these shores. The current UK release date for the PSP Phone is pencilled in for sometime in March. That's if it is real. It certainly looks real but until we get our grubby mitts on it, it's still a bit of vapour ware. 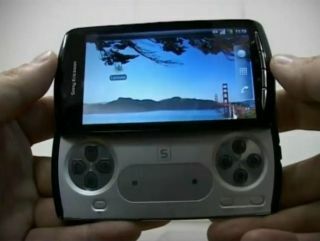 Check out the Engadget video to see the PSP Phone benchmark in action.